Under changes in Czech drug policy approved November 28 by the Cabinet, growers of psychedelic cacti and fungi will no longer face criminal punishment. The hallucinogenic plants will be removed from the government's drug "black list," meaning that cultivation of more than "small" amounts will no longer be a crime. Peyote and magic mushrooms were originally included on the list when the Czech's reformed their drug laws in 2009, making the Czech Republic one of the most liberal in Europe on drug policy. But amateur cactus growers who said they had no intention of consuming their plants complained that the drug reforms effectively criminalized them for pursuing their hobbies. The 2009 reforms decriminalized the possession and cultivation of small amounts of marijuana, as well as the possession of small amounts of other drugs. Last week's adjustment of the reforms actually tightened up a bit on the issue of marijuana cultivation. They include a change in the way marijuana's potency is calculated. Previously, authorities measures the amount of THC in pot plants by measuring the content of the whole plant; now, they will only measure the content of the flowers, where the THC is most concentrated. That means some pot cultivators who are growing low-potency marijuana will not be able to escape drug law enforcers. 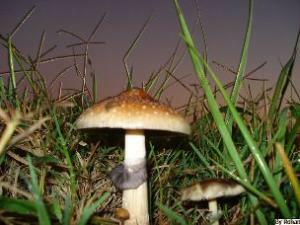 Gowing magic mushrooms was NOT decriminalized. Growing of peyote and other cacti containing mecaline and plants containing DMT or 5-MeO-DMT was in fact decriminalized (as long as these were not intended for consumtion. This is great news. It is good that one thing is removed from the list of drugs. This is a great blog against the drug. It provides each and every news, issues, difficulties, negatives of drugs. flats in kochi It’s an awareness site for every people. I support this blog a lot.